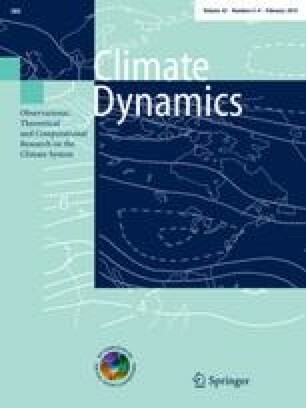 Recent studies show that mid-latitude SST variations over the Kuroshio-Oyashio Extension influence the atmospheric circulation. However, the impact of variations in SST in the Gulf Stream region on the atmosphere has been less studied. Understanding the atmospheric response to such variability can improve the climate predictability in the North Atlantic Sector. Here we use a relatively high resolution (∼1°) Atmospheric General Circulation Model to investigate the mechanisms linking observed 5-year low-pass filtered SST variability in the Gulf Stream region and atmospheric variability, with focus on precipitation. Our results indicate that up to 70 % of local convective precipitation variability on these timescales can be explained by Gulf Stream SST variations. In this region, SST and convective precipitation are strongly correlated in both summer (r = 0.73) and winter (r = 0.55). A sensitivity experiment with a prescribed local warm SST anomaly in the Gulf Stream region confirms that local SST drives most of the precipitation variability over the Gulf Stream. Increased evaporation connected to the anomalous warm SST plays a crucial role in both seasons. In summer there is an enhanced local SLP minimum, a concentrated band of low level convergence, deep upward motion and enhanced precipitation. In winter we also get enhanced precipitation, but a direct connection to deep vertical upward motion is not found. Nearly all of the anomalous precipitation in winter is connected to passing atmospheric fronts. In summer the connection between precipitation and atmospheric fronts is weaker, but still important. We thank Richard Greatbatch, Shoshiro Minobe, Bunmei Taguchi, and Akira Kuwano-Yoshida for fruitful discussions and Michael Reader and Gareth Berry for providing code and support for the frontal tracking analysis. Further, we thank the two anonymous reviewers for their constructive comments. Ralf Hand was supported by the German Federal Ministry of Education and Research (BMBF) through the MiKliP program, Noel Keenlyside and Nour-Eddine Omrani were funded by the German Research Foundation (DFG) through the Emmy Noether program. Ralf Hand, Noel Keenlyside and Nour-Eddine Omrani benefited from travel grants through the DFG-JSPS cooperation program, which stimulated the collaboration with the groups from Hokkaido University and JAMSTEC on this topic. We thank the MPI for providing the ECHAM5 model and support, and we acknowledge computing resources and technical support from the North-German Supercomputing Alliance (HLRN) and the German Climate Computing Center (DKRZ).